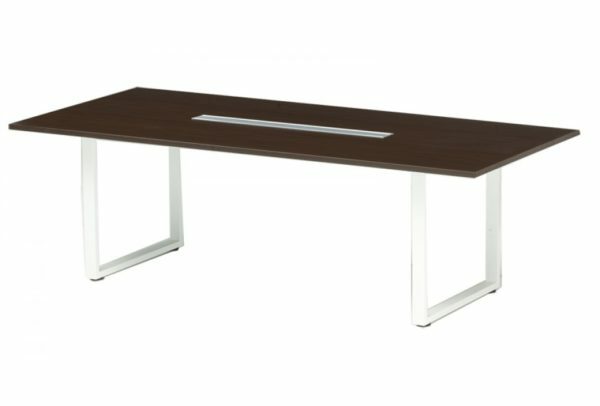 The GW series meeting tables offer a modern look for your conference room without sacrificing comfort, utility nor style. Available in two sizes, 96″W x 43″D x 30″H and 71”W x 39”D x 30”H, this conference table features an espresso colour table top with an utility socket in the middle and white steel legs. 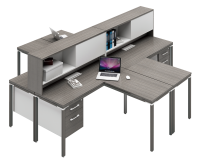 The table can be equipped with additional side panels for an extra $50.